Big East Tourney Recap: What a Weekend! I hate the winter, but I love March. It’s my birthday month, St. Patty’s day and most importantly March Madness! I love the conference and NCAA tourneys more than any other sporting event. This year I got to experience the Big East Tourney in person! Last Wednesday night I headed up to Hoboken to meet up with my family at my brother’s so we could watch Syracuse in the last real Big East Tourney. My parents and I attempted to catch a tourney game at the Garden last year, but ended up buying counterfeit tickets. Everyone we asked told us the best way to get tickets was to just buy them on the street outside the Garden, so we didn’t think there’d be a problem. The red X that appeared on the ticket scanner when we tried to enter that night told a different story. It was unbelievably disappointing. I also felt responsible even though I know my parents were just as excited as I was to go, I felt like they were doing this in part for me. We made the most of the night though and still enjoyed the game from Stout, a Syracuse bar around the corner. This year we decided to go the StubHub route and bought tickets ahead of time for Thursday through Saturday. The only two games we’d been to in person so far this year had been both dismal Georgetown losses, and after they got off to a tough start against Seton Hall Wednesday we were hopeful, but a bit nervous as to how they would fare. It ended up being so much fun and better than we ever could have expected! We got to watch Syracuse play in all three games we went to and while they didn’t win it all, revenge against Georgetown was so sweet and made it a perfect weekend! Thanks for such a great Christmas present Mom & Dad! Pics below! Dad & Me in the Garden! Mom & Me in the Garden! Enjoyed post-game beers instead of in-game beers at Stout this year! Georgetown game. Dan & Adrienne were able to join us for this one! So pumped after beating Georgetown! Great seats for the championship! Ian made it up for the last game! Still had some fun post-game at Foley’s – kept Mom & Dad out till 2AM! Super Bowl Sunday is usually synonymous with parties, overeating and indulgence. Despite being a Bills fan and facing many years of disappointment on this day in the 90s, I still look forward to it. You can find healthy Super Bowl party recipes all over the Internet, but I figured I’m still going to eat a ton of food today, so I might as well start the day off with a great workout so I wouldn’t feel guilty. I torched some calories with a 7-mile run to start the day followed by an intense body ride spin class. Bring on the snacks! Ian and I decided to hang in and watch the Super Bowl at home. I didn’t have a huge rooting interest this year. I hate the Ravens because I dislike Ray Lewis, so seeing the Niners win would be OK. On the other hand, I was also so happy the Ravens beat the Patriots and felt a little compelled to root for the almost-local team that I wouldn’t mind seeing them win either. I’m glad it turned into a good game after looking like it would be a blow out. My favorite commercial spots were the M&Ms, Clydesdales, Oreo, Taco Bell and the one about farmers. Let me know your favorites in the comments! 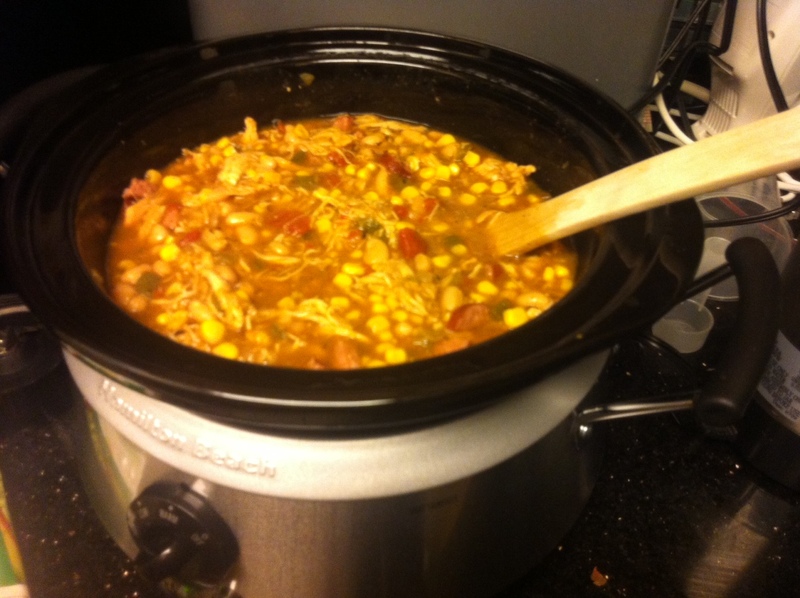 Next we put our brand new crock pot to work to make a chicken chili. The Hamilton Beach crock pot came with three different size crocks we can use with it: 2-, 4- and 6-quarts. For this recipe we went with the the 4-quart pot. The apartment smelled amazing all day as our chili slowly cooked. We didn’t have quite enough chicken for what the recipe called for, but we had some extra andouille sausage from another meal, so we added a bit of that giving it a nice little kick. It tasted even better than it smelled and we had enough for a few days of leftover lunches! We wrapped up our Super Bowl spread with a delicious dessert – Peanut Butter Caramel Cupcakes. 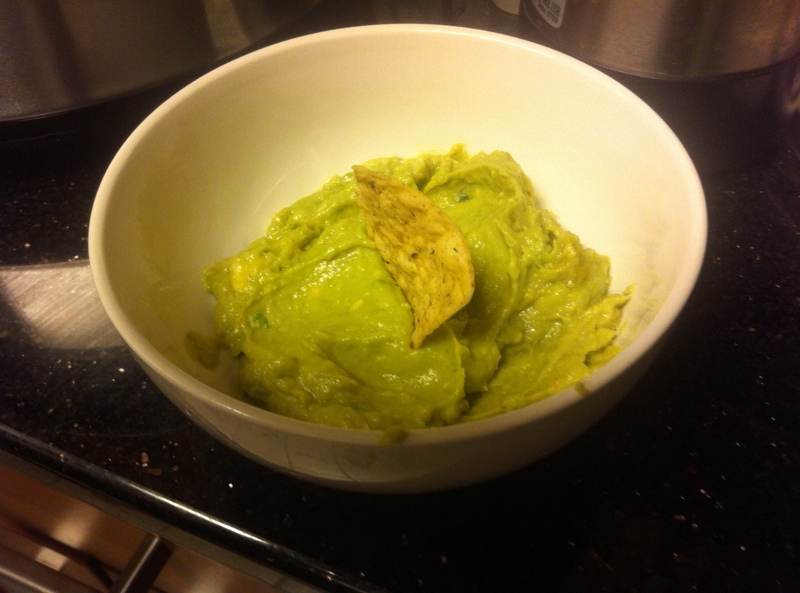 I found this recipe on a blog I came across a few weeks ago and they were simply amazing. The frosting reminded me of Reese’s Peanut Butter cups, and drizzling caramel sauce over the top just put them over the edge. I brought the rest to work or I would have eaten all of these. So good! Cupcakes! In the process of adding caramel. It was a fun Super Sunday filled with great food. Hope you enjoyed your Super Bowl parties and snacks! What was your favorite indulgence from this year’s Big Game? Baseball Hall of Fame and Steroid Users: Should They Get In? In late November, the 2013 Baseball Hall of Fame ballot was unveiled bringing with it a lot of controversy. Among first timers on the ballot are Barry Bonds, Roger Clemens and Sammy Sosa. They join holdovers from previous years on the ballot including Mark McGwire and Rafael Palmeiro. All of these names have been proven or suspected users of performance enhancing drugs setting record after record during baseball’s so-called Steroid Era. If you’ve read my post on Lance Armstrong, you know how I feel about drugs and cheating in sports. To give you another example, I took a sociology of sport class my freshman year of college taught by the football coach. One day I argued against an entire class of football players as the lone believer that Pete Rose should never ever see the Hall of Fame for betting on baseball and possibly cheating to push the outcomes in his favor. For me, drug use in sports has always been a black and white issue, but deciding who from this era should be accepted into the Hall of Fame is a bit tougher. I’ve always hated Barry Bonds so I have no problem saying no way, he should never be in. No grown man’s head should expand in size that much after reaching adulthood. He knowingly took drugs and cheated to get better stats. The Hall should be closed to him. It’s an easy choice with Bonds.Then I see names like McGwire, Sosa and even Mike Piazza who I don’t like to admit is even under suspicion of steroid use since he’s one of my New York Mets and one of my all-time favorite players. I grew up playing Little League baseball and loving watching Major League games. After the baseball strike of the early 90s I packed all my baseball cards away in the basement and never touched them again. I boycotted watching any Major League game on TV for years. As you can see, I’m a bit stubborn. I stopped watching right up until the magical season where McGwire and Sosa chased down Roger Maris’ record. That homerun chase brought me back to baseball and made me love the game again. Unfortunately, that doesn’t mean they cheated any less than Bonds did, so why should they have anymore consideration on whether or not they are accepted into the Hall? Yet another element of confusion on the issue comes from the fact that during most of the Steroid Era, while illegal in the United States, steroids weren’t banned in Major League Baseball. I’ve seen good arguments on both sides of the issues. In a perfect world, no drug user should be allowed in the Hall of Fame. The world isn’t perfect however. It’s impossible to know everyone that did steroids given that there was no system for testing in place until recently – and even now, it’s not a great system. You can say this whole era should have an asterisk next to it, but how is that fair to players who were clean? When they announce the 2013 class on January 9, I don’t think any known steroid users will get in on their first go around. I think that’s the extent of the punishment though, and eventually many who vote against them for that reason will let them in anyways because the world isn’t black and white and either is this. I’d love to hear others’ thoughts on this in the comments. By now everyone has heard the news that the U.S. Anti-Doping Agency (USADA) has stripped Lance Armstrong of his 7 Tour de France titles for doping and the use of performance enhancing drugs, and witnessed the fallout as he has been banned from races and dropped by sponsors. For years as athlete after athlete is found to have cheated to enhance their performance, I’ve always said the only one I would be truly surprised and hurt by would be Lance Armstrong. When the news first came out that the USADA was stripping him of his titles and Lance was giving up the fight by refusing to contest the ruling in what he deemed an unfair fight, I believed Lance’s PR machine that this was just a witch hunt. He’s never failed a drug test they said, and I echoed. Someone was clearly out to get him and upset that this brash Texan had won France’s and cycling’s greatest race seven straight years after recovering from cancer that nearly killed him. Then the USADA released their Reasoned Decision. I’m just about done reading the 202-page case against Armstrong and I’m devastated. He cheated. He lied. There is no doubt. It was witnessed – and not just by people with an axe to grind or a deal to cut. There were positive tests. There were not nearly as many tests as he claimed. It was calculated and sophisticated. There was bullying and encouraging of others to participate in and to keep the scandal a secret. If you have time to read even just a few pages of the report you will be stunned by the overwhelming evidence against him. While some shout “I told you so,” I am just sad. Heartbroken in fact. Did he cheat in some part in the name of a good cause? Yes. Were the vast majority of other cyclists also cheating? Yes. It doesn’t matter and it doesn’t make it better. Lance always claimed to be above the cheating and boasted about conquering cancer and winning cycling’s most grueling race clean while others were cheating. I have looked up to Lance for years as an incredible inspiration. 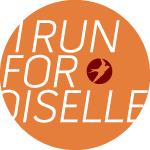 So have many people fighting cancer looking to defy the odds. Turns out it was all based on cheating and lies. He deserves to have the titles stripped. He deserves to be banned from competition. He deserves to be dropped by sponsors – those companies will certainly find other ways to donate to the fight against cancer. He deserves to lose the Olympic medal. Lance, I looked up to, respected you and was inspired by you – and you let me down. You let down your fans and more importantly you let down so many people fighting cancer and other diseases who needed to believe in the impossible. What a disappointment! Truly, too good to be true. I moved to Arlington for grad school six years ago now. It’s so hard to believe I’ve been down here that long – time has absolutely flown by. I instantly fell in love with this area and am still blown away by how many cool things there are to do in Arlington, D.C. and even occasionally (usually begrudgingly) Maryland. I’ve gotten to a couple Nats games already this season. Nats Park is a great, new stadium with some awesome stadium food options too! I’m a fan of the Ben’s Chili Bowl spot, but might have to try out Shake Shack on my next trip there now that I’ve finally gone to their restaurant. I was lucky enough to go to opening day here during the Nats inaugural season and have attended several games a year since then, even getting to sit in the Diamond Club seats once. This season I caught a Saturday afternoon game with friends in a packed stadium to watch the Nats beat the Phillies and got out of work for a weekday game as part of a department outing. We got to see Strasburg pitch, but unfortunately it wasn’t his day as the Nats lost to the Padres. My parents made a trip down to D.C. to visit in late May, and having visitors is always a good excuse to get to play tourist in my own city. They’ve been coming down for years now, so we’ve already done most of the usual touristy things and joke that most of our visits are planned around food, but with all the great restaurants down here, you can’t go wrong doing that! We ate at some of our usual favorites, Rhodeside Grill, RiRa and Brooklyn Bagel Bakery (best bagel spot in the greater D.C. region!). We also got a deep dish and a thin crust at District of Pi Pizzeria, which my Dad had never been to and wanted to try after I’d been raving about it for some time. It didn’t disappoint. Their specialty seems to be the deep dish pizzas, but both of ours were delicious. The service left a bit to be desired, but fortunately the pizza was so good it made up for that. On our past visits to the National Mall, we’ve never made it all the way down to the Capitol Building so I decided to start on that end this time. I get to run around this area a lot and it’s such a great site to take in, so I was excited for them to get to see it up close finally. I waited too long to try and get tickets for a tour unfortunately, but we walked all the way around the outside and passed by the Supreme Court and Library of Congress as well. My favorite museum to visit in D.C. has always been the Newseum. Working so close to the National Mall now, I have no excuse not to visit some of the Smithsonian museums I still haven’t managed to get to in my six years here. I’ll share some future posts on my experiences at them and which ones I think are most worth visiting. Dad and me at the Dome! 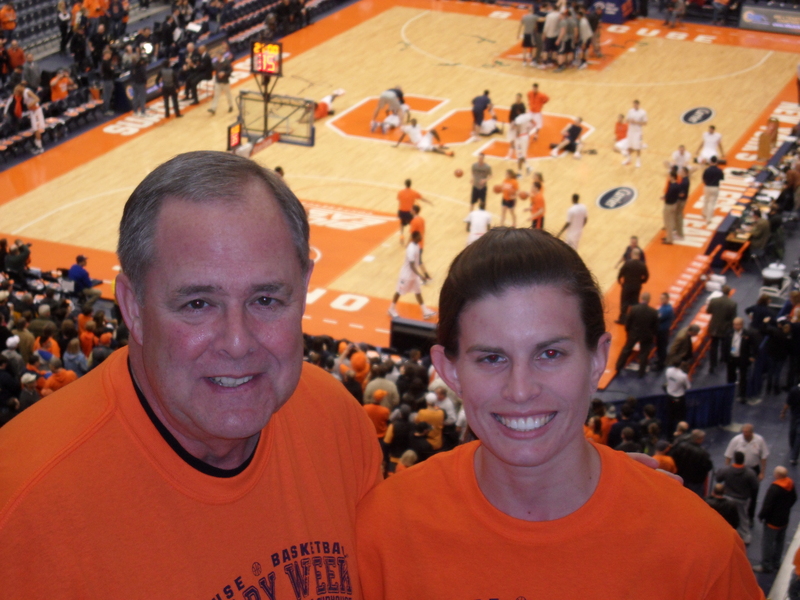 I went home this past weekend for the Syracuse vs. UConn game at the Carrier Dome. I’m sure there are a lot of other teams’ fans who might disagree, but there is nothing quite like watching a game in the Dome. It routinely hosts the largest on-campus crowds in college basketball, and if you’re there for one of the 30,000+ games, you’ll understand why they’ve dubbed it the Loud House. 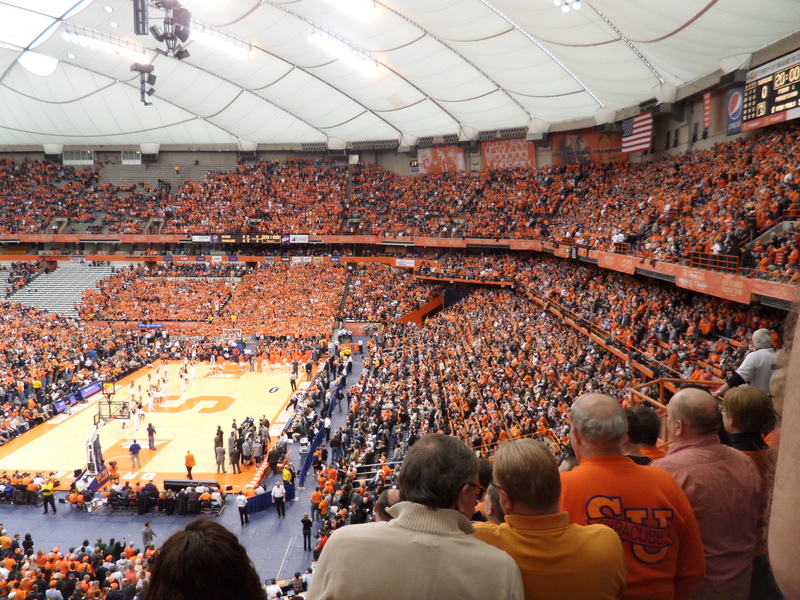 On Saturday, the Dome again set the record for this season’s largest on-campus crowd while hosting Uconn with 33,430 fans – also, the fourth largest crowd in Carrier Dome history. I’ve been at many of the attendance record setting games over the years and they are really something special. For years (probably a few too many) I sat in the nosebleeds after buying my $5 youth ticket. When I was in college my Dad and I got season tickets behind the hoop opposite the student section, and I would drive the two hours home from school to make the games. The first record-setting game I remember being a part of was in 2005 against Notre Dame. The Syracuse Athletic Department actually announced a sell out – the first in history – with 33,199 in attendance. Walking into the Dome that day, every single door had a sign posted that read: Carrier Dome – Sold Out. It gave me chills. Syracuse struggled early that day, and it truly felt like the crowd willed them to victory in a 60-57 win as it got so loud in there I felt like a 747 jet was taking off above us. Gerry McNamara’s senior day game was another special record breaker. No player has quite captured the hearts of Syracuse fans quite like G-Mac did, and I have to admit, I may have been one of the many girls in attendance holding a “Marry Me Gerry” poster. The ‘cuse lost 92-82 against Villanova that day, but the 33,633 in attendance were as loud as ever celebrating G-Mac’s career. While Saturday’s large crowd didn’t break the record, it was still a packed house. My Dad and I sat up in section 315 about five rows up and enjoyed every minute of it. The ‘cuse made it interesting as always allowing Uconn to within two with five minutes to play. After that they shut it down though, beating UConn by 18 with five walk-ons on the court to end the game. We were on our feet cheering on Melo’s blocks (and jumpers! ), CJ Fair’s amazing dunk and watching Kris, Scoop and Dion do their thing. There’s no place like home!